This is the second of our 2013 Christmas lists. Christmas is a festive time and many people are setting new world records that pertain to the Christmas theme. The Uday Samudra Hotel in India created the new world record of the largest Christmas Cake. The cake is 30ft high and 2ft wide, weighing 2,500 kgs. 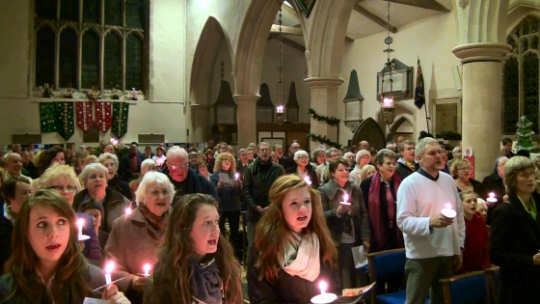 The cake was cut into 22,000 portions and distributed to poor homes and various charities on Christmas Eve of 2007. 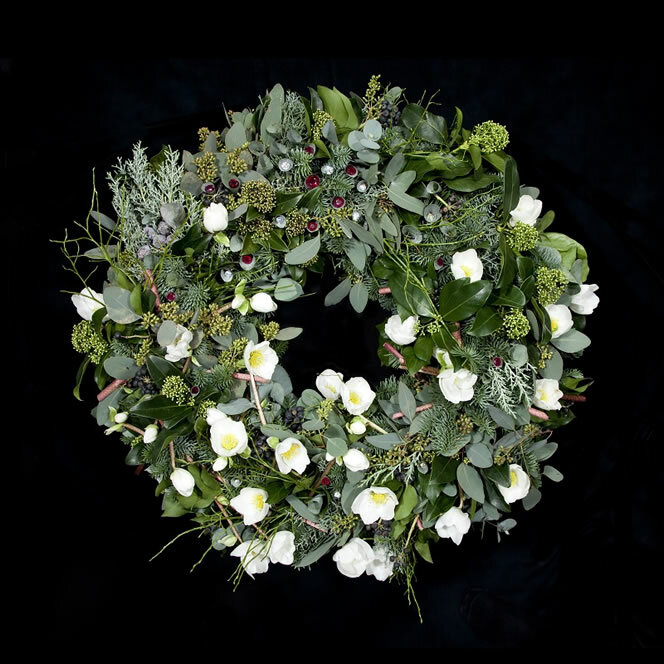 Designed by famous Finnish florist Pasi Jokinen-Carter, a Christmas wreath featuring more than 40 glittering diamonds and rubies was launched this week; the 138.83 carat wreath is made from some of the most luxurious flowers in the world, like Hedera berries, Nobilis, lingonberry and blueberry stems and hand-curled eucalyptus leaves; costing a cool US$4,645,800 the 138.83 carat wreath is made to order and takes just under a week to create, setting the new world record for the Most expensive Christmas wreath. Despite the cold weather and drizzling rain, over 14,200 people dressed as Santa Clauses paraded in Porto, Potugal, raising money for charity and setting a world record. 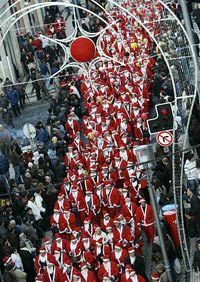 Every Santa, or Pai Natal as he is known in Portugal, who took part in the parade donated 1 Euro to buy presents for needy children. 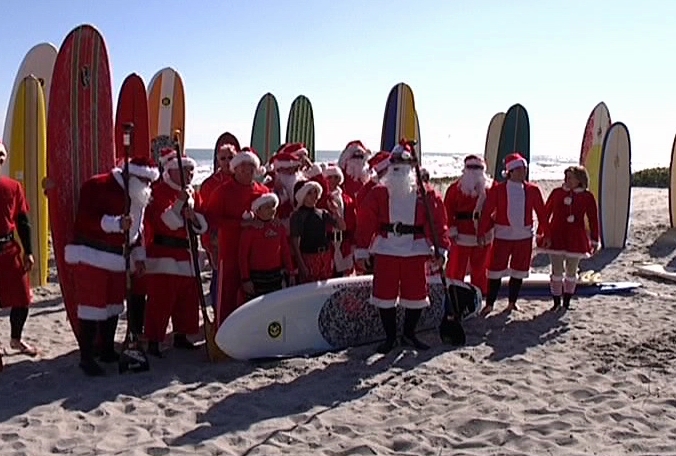 Nineteen surfers dressed as Santa took to the waves to set a world record. This event took place at Cocoa Beach, Florida 2010. For more than 16 years, Michael Pless, 60, has been the local surfing Santa in Seal Beach. Now, Pless rides the waves in his special made Santa suit and into the hearts of many. As owner of M & M Surfing School in Seal Beach, Pless surfs nearly every day. So, he combined two things he loves; surfing and bringing joy to others. 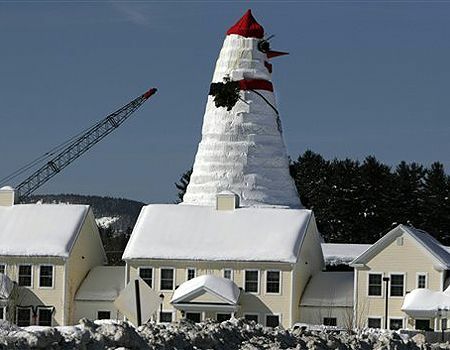 The worlds tallest snowman was unveiled in the western Maine, USA, town of Bethel. The snowman is 122ft high with wreaths as eyes and skis as eyelashes, trees for arms and tires for buttons. To get an idea of size, the snowman is 30ft shorter than the statue of liberty without the base. 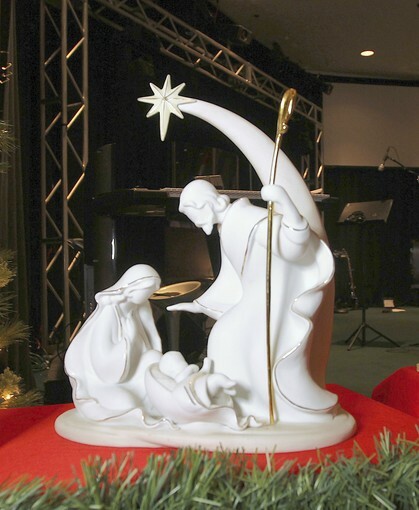 The Oasis Church in Pembroke Pines, Florida, USA displayed 2,150 nativity scenes in their church sanctuary, in the form of figurines, tapestries, Christmas tree ornaments and crayon-drawn pictures – setting the new world record. The displays come from all over the world, just as the church’s 2,500 members hail from 84 countries. 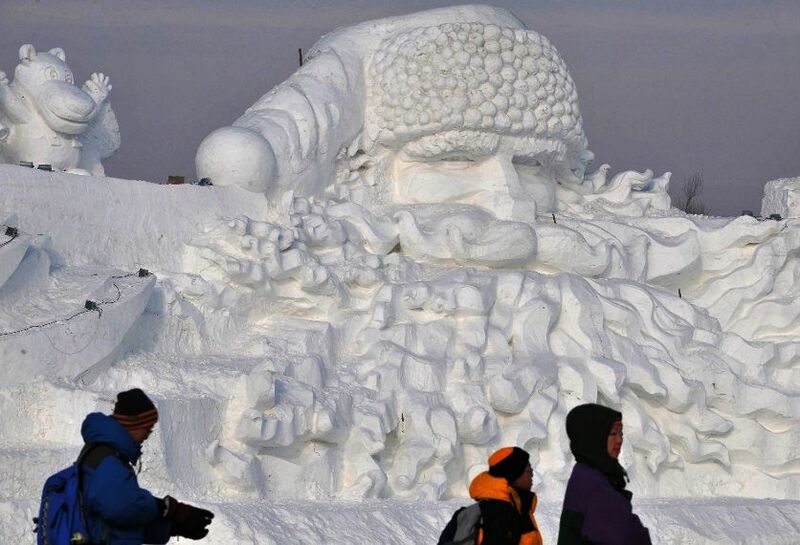 A snow sculpture of Santa Claus , 525ft long and 79 ft high, complete with flowing beard and hat, was created by Chinese sculptors Harbin, the capital of Heilongiang province on the edge of Siberia, is one of the coldest places in China. Each year the city host the world renowned ice festival. 17,117 people across the UK united to sing a program of festive favorites during unified carol singing events, organized by Premier Christian Radio and sponsored by BibleLands – setting the new world record for the Largest group of carol singers. 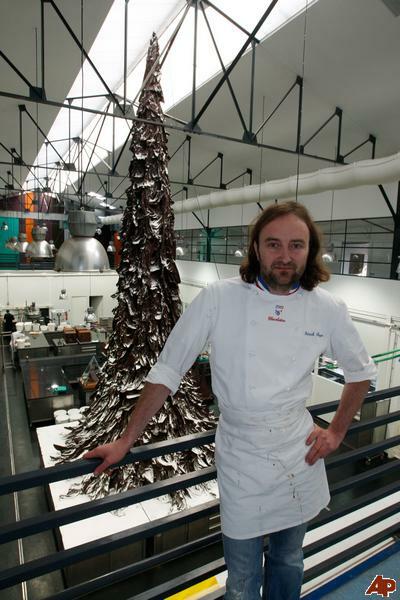 Patrick Roger unveiled a massive 32-foot-tall, 8-thousand pounds (4-ton) chocolate Christmas tree in his studio in in Sceaux, south of Paris – setting the new world record. The chocolate Christmas tree took a month to make and used $45,000 worth of 65 percent dark chocolate, attracted worldwide media attention. 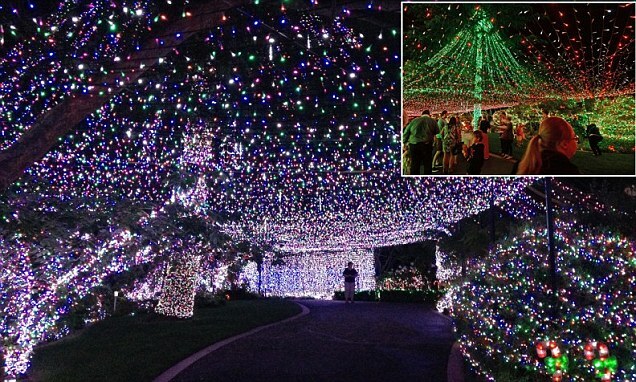 The Richards family from Canberra, Australia have beaten the Guinness World Records’ record for Christmas lights on a residential property; David Richards’ family installed more than 31 miles of wire with 502,165 lights, glowing reindeer and loud music around their suburban home, setting the new world record. While David Richards bought the lights, a local power company will donate the estimated 2,500 Australian dollars in electricity that would keep them lit for the next month.